Jerry Cohen and his team at Ebbets Field Flannels have produced a new home run - a reproduction of the 1953 Green Bay Bluejays jersey. As regular readers know, the Bluejays still hold an important place in our club's history. We've seen an exemplar of the jersey this is based on. Ebbets Field did a pretty good job with this one. Best yet, it's on sale now for $129.00. 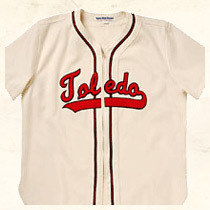 While you're perusing their collection of Milwaukee Brewers history, you might also take a look at this Toledo Sox jersey from 1953. 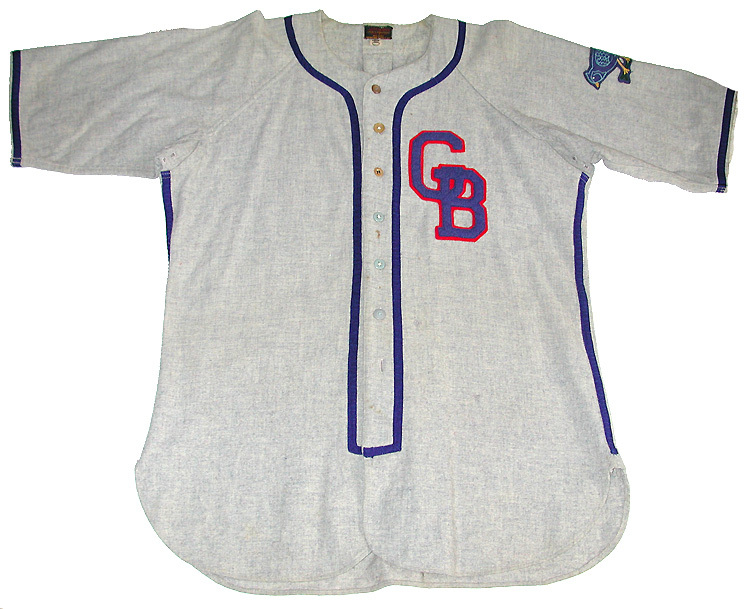 When the Braves moved from Boston to Milwaukee, our Brewers found themselves without a home, and moved to the recently-vacated Ohio city. Two great minor league jerseys, each with a tie to the Brews. 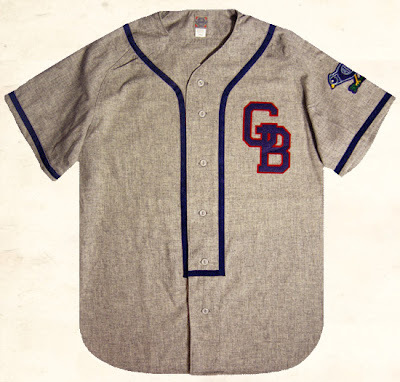 And if you order something from Ebbets Field, tell them BorchertField.com sent you - maybe we can convince them to add another Milwaukee jersey to their line.